COLUMBUS, OHIO (May 31, 2018) – The Public Utilities Commission of Ohio (PUCO) wants Ohioans to remember that when hiring a moving company, you have rights guaranteed by law and enforced by the PUCO. Before deciding to hire a mover, ensure they are properly registered with the PUCO to do business in Ohio (for in-state moves), or the Federal Motor Carrier Safety Administration (for interstate moves). When planning your move, it is important to know a few things about your rights regarding estimates, bill of lading, insurance coverage and claims. Estimate: the expected cost, in writing, the company provides to you prior to your move. The estimate should be in writing unless your move will cost $500 or less or is scheduled within five days of request. The moving company has the option of providing you with one of three kinds of estimates: nonbinding, binding and guaranteed-not-to-exceed. The type will be clearly stated on the estimate. Do not assume that something is included in the estimate if it is not in writing. Bill of lading: similar to a receipt, identifies who owns the household goods on the moving company’s truck. A bill of lading will be attached to the estimate while the shipment is in route. You may request an inventory of your household goods when the company is loading them, but the company may charge an additional fee for that service. 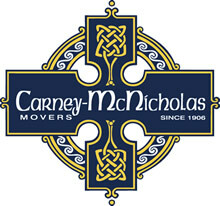 Liability coverage: all moving companies are responsible for the value of the goods transported. Companies must have cargo insurance in an amount equal to the declared value of your shipment. Moving companies may offer different types of reimbursement for lost or damaged goods, but must offer full replacement value. Generally, the higher the carrier cargo liability, the higher the cost to you. On your estimate, you will initial to indicate the type of coverage you choose. The moving company may reserve the right to repair any damaged items prior to replacing regardless of the level of coverage selected. This must be stated in your written estimate. If the company does not have a reimbursement option, you are entitled to the full replacement value of any lost or damaged goods. Claims: a written explanation of any loss or damage to any items during your move, submitted to the moving company. The company must provide you with at least 60 days to file a claim. The company, within 30 days of receiving your claim, must pay, decline, or make a firm compromise settlement offer. If you are planning an interstate move, visit the Federal Motor Carrier Safety Administration website for more information. Visit www.PUCO.ohio.gov for more information on hiring a moving company, a moving to-do checklist and a list of PUCO-registered household goods movers. If you cannot resolve a dispute with your moving company, contact the PUCO at (800) 686-PUCO (7826) or file a complaint online. 100 Victoria Rd. Youngstown, OH 44515.